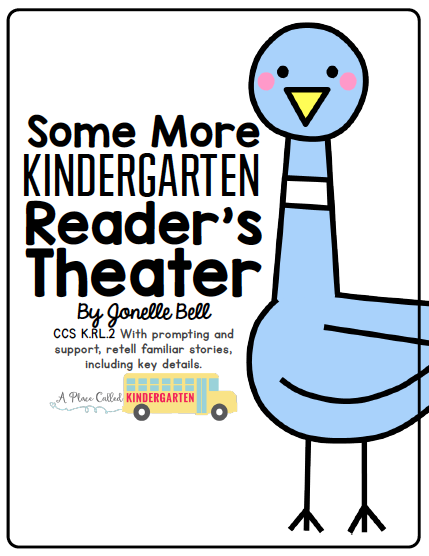 A Place Called Kindergarten: Read! Read! As fast as you can! We have loved reading all of these gingerbread books! I love hearing my students chanting "Run! Run! As fast as you can!" while they are working or running around the playground. 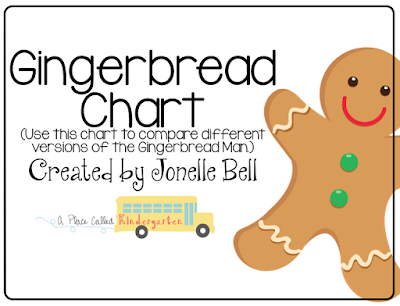 We charted six versions of the gingerbread man. Grab the FREEBIE in my Teachers Pay Teachers Store. I can't seem to get enough of the Gingerbread stories either. Like your kiddos, mine are playing Gingerbread games at recess. Thanks for the chart, I will tuck it away until next time. Great chart! We have had so much fun reading all of the versions, but have yet to make a comparison chart. Way too much going on! Did the kids help to generate the words or did you just do it and read it to them? Thank you for sharing! I love the chart! Thanks so much for sharing! We have been reading them too and my kiddos have loved it! All of my girls were pretending to be the gingerbread girl the other day! I have even been dismissing them back to their desks as gingerbread girls, and gingerbread boys! I adore your chart and will definitely do it next year. Have you read The Jalapeno Man? It is a Texas version and is sooooo cute! I am your newest follower and would love for you to come follow me and grab TONS of *freebies* on my blog! I love this!!! Would you be willing to share these with someblanks ones so that I can add more stories if needed? Then what font did you use? 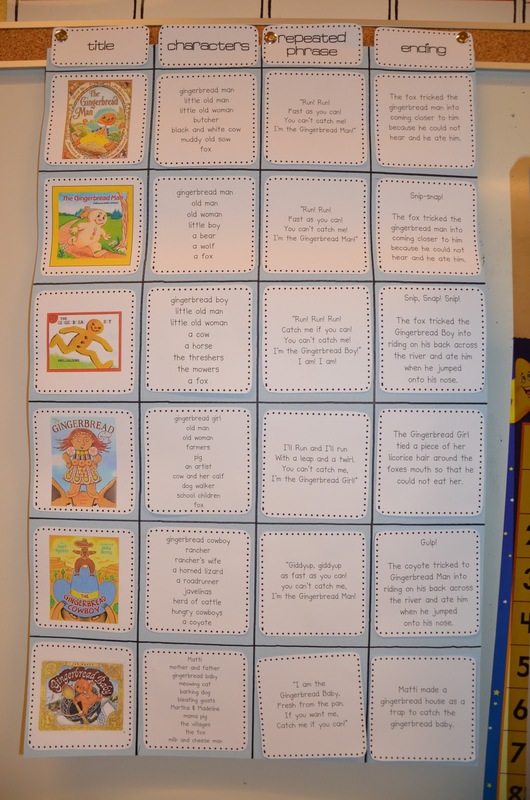 I used a similar idea in my 1st grade class last year. Each table group took a different version of the story. They read it aloud and then completed a sequence Thinking Map as a collaborative group. Next, they shared the pencil and wrote 1-2 sentences under each picture sequence. Then, each collaborative group took a large sheet of butcher paper and drew a background for the story. They cut up their sequence map and then told the story using the background and pictures. Finally, they traveled to classrooms to "share" their stories. They loved it! This is such an awesome idea!! Thank you for sharing!! I was looking for something exactly like this! Thanks for sharing! This is so perfect! Thanks for sharing!